Dr. Frederick (Mick) McClimans is a highly trained orthopaedic surgeon and President of Tampa Bay Bone & Joint Center located in Tampa, Florida. His medical specialties include conditions of the shoulder, hip, spine, and knee. Dr. McClimans is an incredible doctor . I completely trust in his knowledge and experience. Very informative re my situation. A friendly personality. Excellent Dr. Couldn't thank him enough for All that he has done for me. God bless you! I am thrilled to have such a caring doctor. I've had different surgeries that he's done and will always have him for any future needs. The staff is wonderful too. I owe my present mobility to Dr. McClimans. This was the first time meeting the Doctor,He made me feel at Ease. Thanks Doc. Dr. Frederick (Mick) McClimans is a highly trained orthopaedic surgeon and President of Tampa Bay Bone & Joint Center located in Tampa, Florida. Earning his medical degree at the prestigious A.T. Still University in 1981, Dr. McClimans is an Associate Professor at Nova Southeastern and Michigan State University College of Human Medicine. In addition, Dr. McClimans holds the presidency title for Tampa Bay Surgery Center and is the past president of Hillsborough County Osteopathic Society. 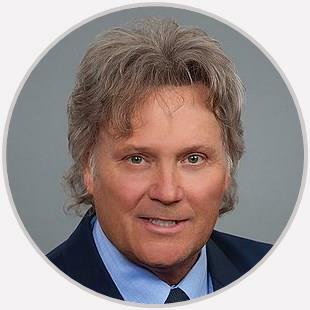 With over thirty years of experience, Dr. McClimans has obtained an excellent reputation amongst his peers in the medical community as well as the patients he treats. His medical specialties include conditions of the shoulder, hip, spine, and knee. As a recipient of RELeV from New Life Regenerative Medicine, Dr. McClimans believes in regenerative medicine and offers his patients conservative, nonsurgical, and surgical expertise for any type of orthopaedic and musculoskeletal problem. Dr. McClimans has received many awards including Patient’s Choice Award (2008 – 2010, 2012 – 2013), Compassionate Doctor Recognition (2010, 2012 – 2014) and Top 10 Doctors – Tampa, Florida (2014).